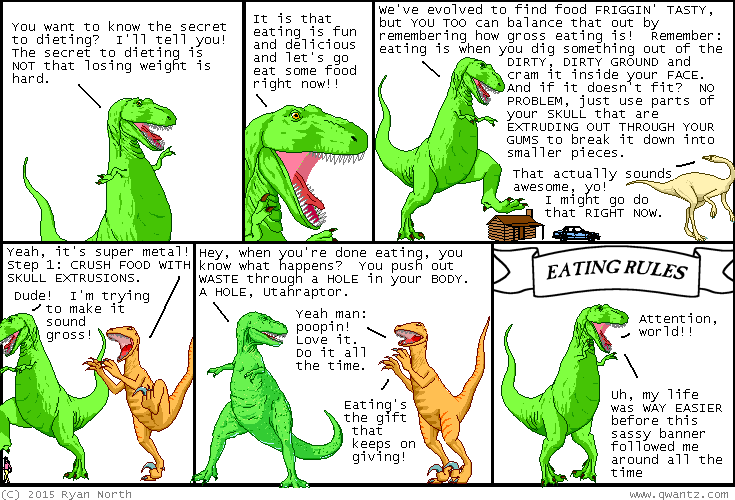 Dinosaur Comics - May 29th, 2015 - awesome fun times! –Everyone else seems to think so, at least! May 29th, 2015: Everyone check it out! I made socks! AWESOME SOCKS.